A fellow MarketPlace Junior Board member, Tessa, has been staying abroad in India. She snapped a photo in her “backyard” of a peacock in full regalia that I found absolutely mesmerizing. Completely coincidentally (really!) on the other side of the globe in Chicago, I put together a table setting inspired by a peacock feather. I couldn’t resist putting the two side-by-side to show you. 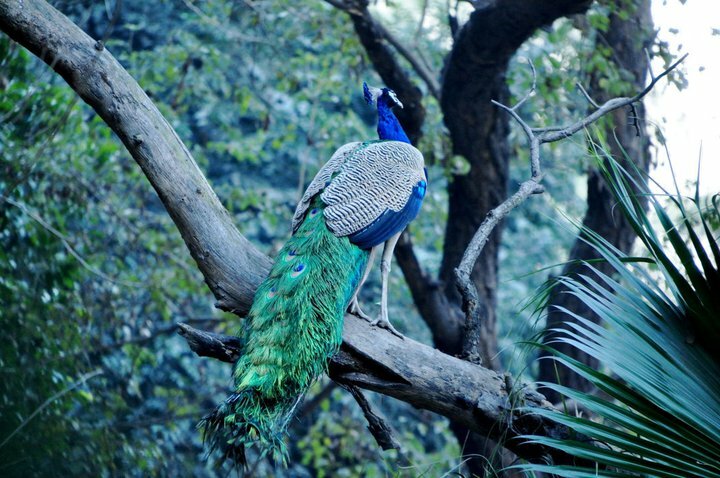 A wild peacock at a park in Delhi, India. 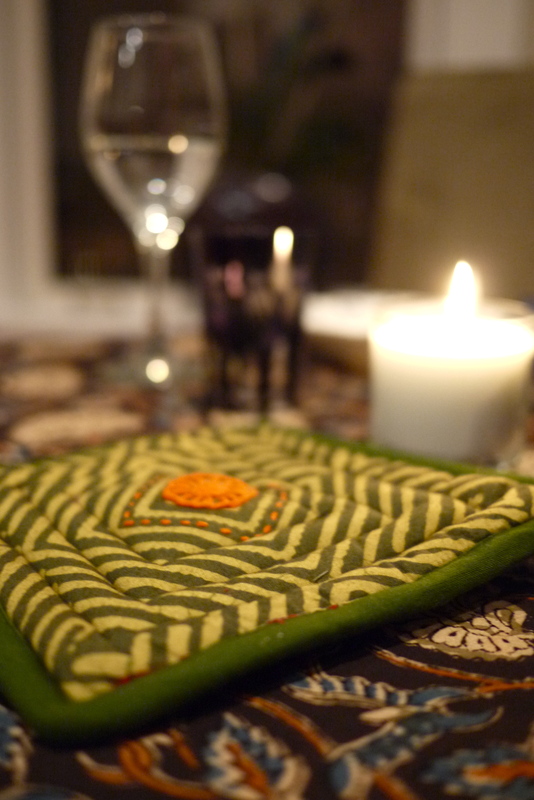 Using a peacock feather as a starting point, a table is set for two. We put together this look by pulling out all the colors from the feather — the blues, greens and bronzes. An earthy tablecloth with subtle tints of all these colors anchors the whole setting. 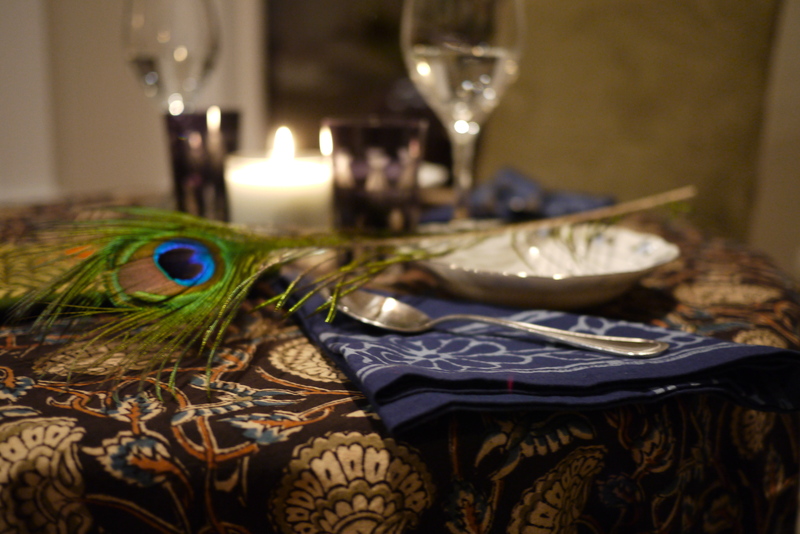 The blue batik napkins set the primary color base. The leaf green hot pad adds a bold punch of color. 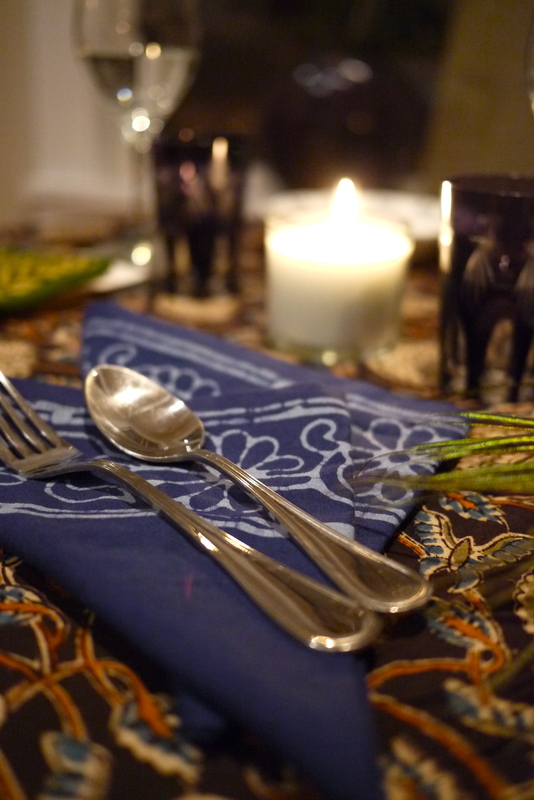 We mixed together different patterns to keep it eclectic, making it easy to match with any basic tableware. If you want to put together your own setting, it’s easy to start at the Home Interiors section of the MarketPlace website. Previous Post: Celebrating Sankranti with the Pushpanjali Cooperative! Next Post: From Winter to Spring!